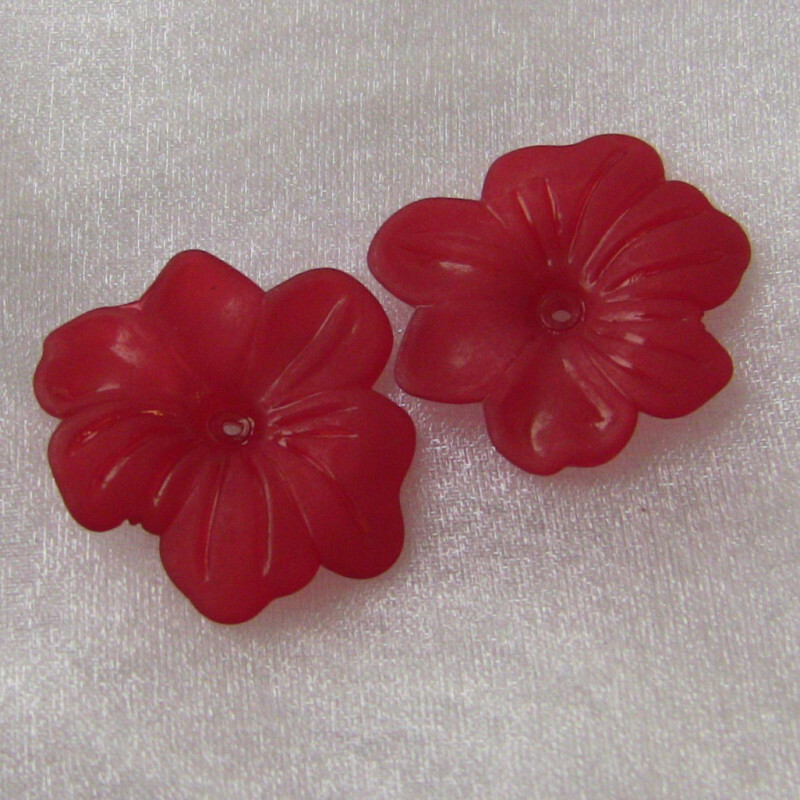 > Beads>Plastic beads>Plastic flowers>Lucite flat flower 5 petal, red. Pack of approx 10. Lucite flat flower 5 petal, red. Pack of approx 10. Lucite flat flower 5 petal, red. Approx 28mm. Pack of approx 10.